Grizzly Bear in the Copper River Delta, AK. Photo by Brett Cole. Cascadia Wildlands is a grassroots conservation organization known for its innovative and effective campaigns. Our five-person staff, active board of directors and advisory council, and dedicated volunteers, accomplish a great deal with limited resources through advocacy, outreach, education, and litigation. Our work is sustained by generous people like you, local businesses, grant-making foundations, and inspiring fundraising events. We work in the Cascadia bioregion (within the US) where threats to wild places and wildlife are highest. The Cascadia bioregion is the forest zone extending along the Pacific Coast from northern California to south-central Alaska. We envision vast old-growth forests, rivers full of wild salmon, wolves howling in the backcountry, and vibrant communities sustained by the unique landscapes of the Cascadia bioregion. Cascadia Wildlands defends and restores Cascadia’s wild ecosystems in the forests, in the courts, and in the streets. Cascadia Wildlands began in 1998 when a group of passionate students and community members decided to take action against rampant clearcutting in Oregon’s Cascades and Coast Range. Since then Cascadia Wildlands has grown into a regional conservation leader. Though grassroots organizing, policy work and litigation, we have protected tens of thousands of acres of wildlands and prevented endangered species from reaching extinction. Cascadia Wildlands is a powerful regional conservation organization that protects and restores wild ecosystems. Since our founding in 1998 we have protected tens of thousands of acres of wild forests and rivers. We are supported by thousands of community members, progressive businesses, philanthropic foundations, passionate volunteers, a dedicated board of directors and an advisory board. Cascadia Wildlands is a 501(c)(3) nonprofit organization. Our EIN # is 93-1293019. Cascadia Wildlands works in the Cascadia bioregion where the threats to wild places and endangered wildlife are highest (within the US). We believe the most threatened wildlands are in Oregon and southeast/southcentral Alaska. To address these threats, we have offices in Eugene, Oregon, outside of Roseburg, Oregon, and Cordova, Alaska. What is the Cascadia bioregion? A bioregion is defined by natural boundaries instead of arbitrary political lines. The Cascadia bioregion is the temperate forest zone extending from northern California to south-central Alaska. We love our bioregion for its lush forests, steep mountains, roaring rivers, awe-inspiring critters, micro economies, and unparalleled quality of life. Cascadia Wildlands employs a staff of talented professionals who identify wild places and species in critical need of protection. Guided by a diverse board of directors and council of advisors, we advocate, organize, and litigate to protect these threatened wildlands. Organizing citizens to take action, leading hikes to threatened areas, talking with media, presenting in classrooms, suing governments when they break the law, hosting community events, creating policy, and working with land managers to design restoration projects are all in a days work! No. One of our goals is to protect older forest ecosystems. When logging threatens those forests, we work to stop it. We also recognize in some cases restorative logging can accelerate the recovery of degraded forests. For example, we generally support restoration thinning in human-created, homogenous tree plantations that lack structural diversity. In some cases we also support carefully planned thinning in dry forests that have experienced the effects of fire suppression. Thinning in these unnaturally dense stands can protect legacy features like old-growth trees from being consumed by wildfire. Are you the people who sit in trees? No. We do not participate in activities such as tree sits or road blockades. We use a diversity of tactics to prevent destructive projects from reaching the point where community members engage in civil disobedience. Is Cascadia Wildlands an anti-hunting or anti-fishing group? No. Our work to keep rivers clean and protect streamside buffers, curtail roads in wild areas, and halt the harmful effects of reckless logging and public lands grazing are all deeply pro-wildlife and pro-fisheries actions. The same is true of our work to curb carbon-driven climate change that is drying up waterways, compromising critical grasslands and souring our oceans though acidification as well as our efforts to create new wilderness areas for future generations to enjoy. 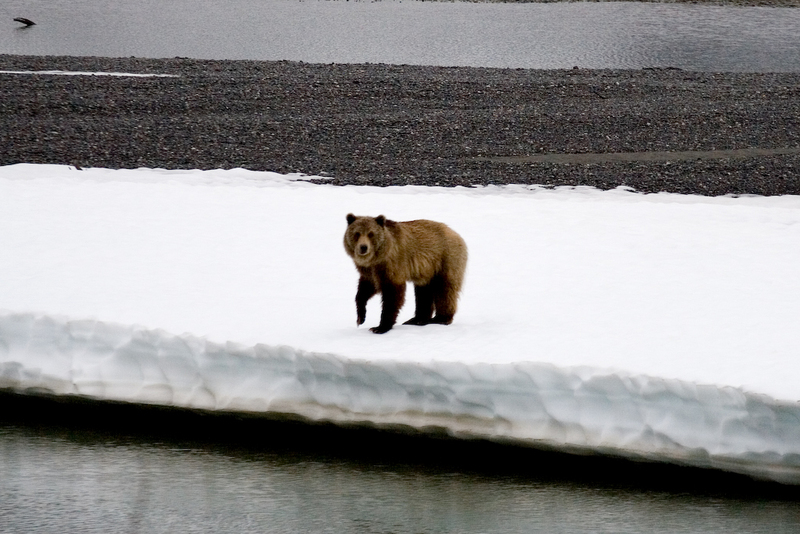 And our strident support for ethical, subsistence hunting and fishing—particularly in Alaska—only acts to put a punctuation point on this pro-wildlife conservation package. Efficiency is practically our middle name! We run an extremely tight ship and get a lot done on a tiny budget. More than 85% of donations go directly to protecting endangered forests, rivers, and critters. The remainder keeps our lights on and doors open! Our EIN # is: 93-1293019. Please make a tax-deductible donation today! Cascadia Wildlands has a simple, strict policy when it comes to your personal information: we never sell or share your information. We respect your privacy and hope to earn your trust.